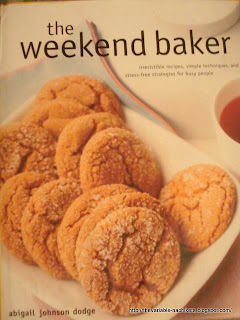 It was a really nice looking recipe book called 'The Weekend Baker' by 'Abigail Johnson Dodge'. Turning the pages had me hooked to it. Daksyani was jumping up and down next to me. We pored over it together. We loved it. 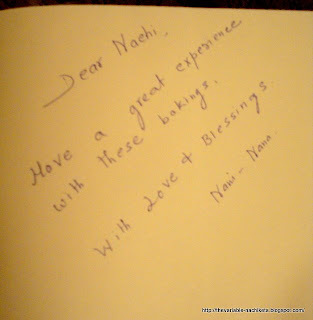 While I was thanking nani and nana n the phone, mom was poring over it. By the time, I hung up the phone, mom had already thumbed thru it and said.... "I want to eat this.... let's try it out." No one needs you more than I need you"
From tonight until the end of time "